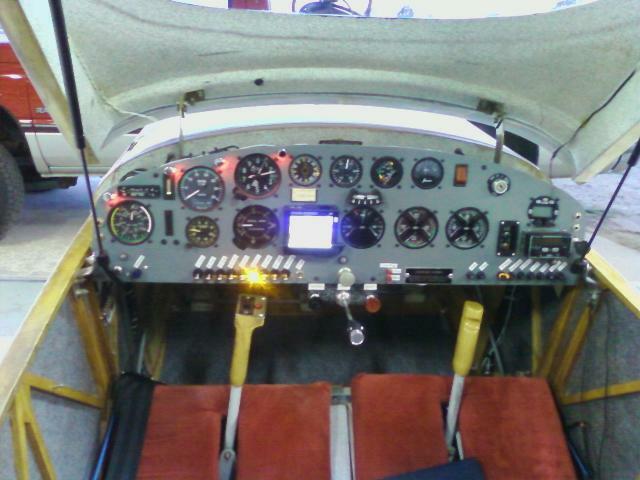 to add some additional instrumentation, breakers and switches. OK, let's just start from scratch with a new panel. 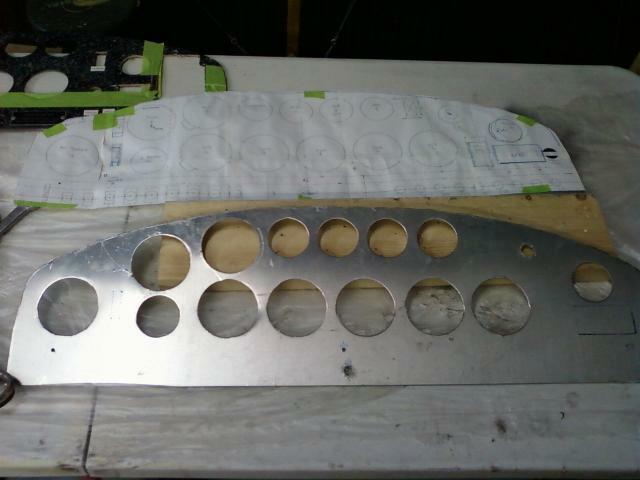 April 3 - Cut out the new panel and lay out the instruments from the cad drawing above. 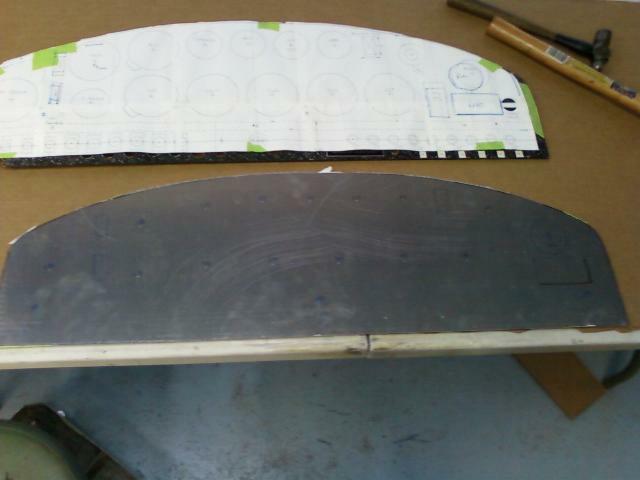 April 4 - Used 2 1/4" and 3 1/8" GreenLee Punches to punch out the instrument holes. clamp down onto a couple of hardened area washers that are also slotted to fit over the cables. 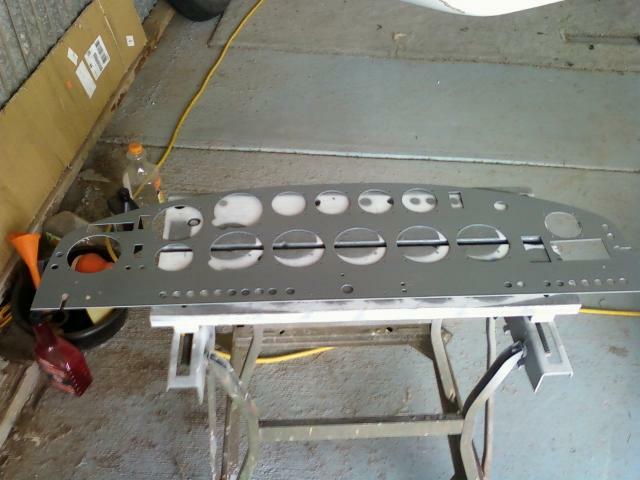 April 7 - Panel painted battleship gray for background. 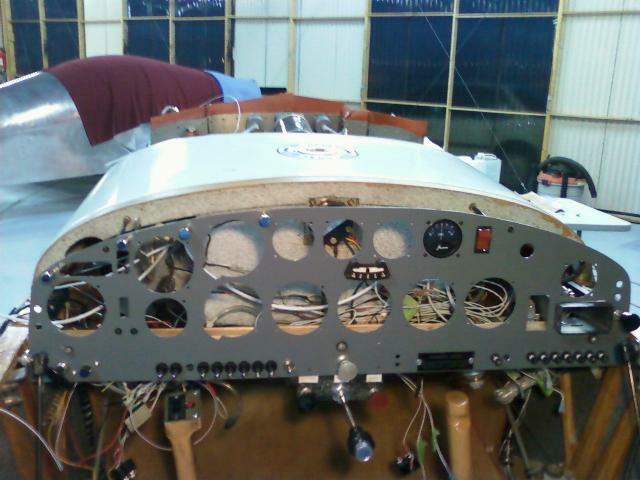 April 10 - Mounted the new panel into the plane. 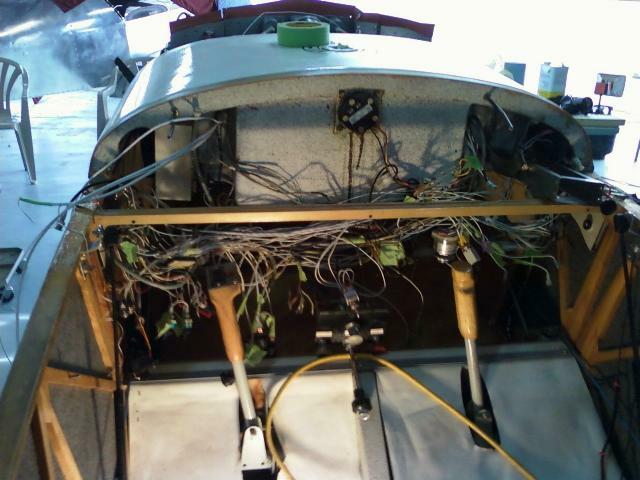 electric system and wiring back together again. LED in the toggle switch apparently creamed the FETs in the WigWag. I ordered a more robust Whelan unit. 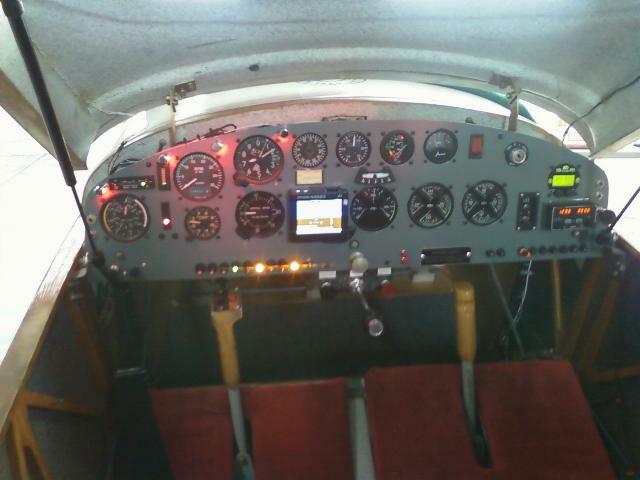 The two red buttons above and to the right of the mixture control are to open and close the cowl flap. the Parahelion unit, but doesn't go up in flames when something goes wrong. just great to keep the LEDs from providing a quick ground path and sending the WigWag to the great smoke collector in the sky. 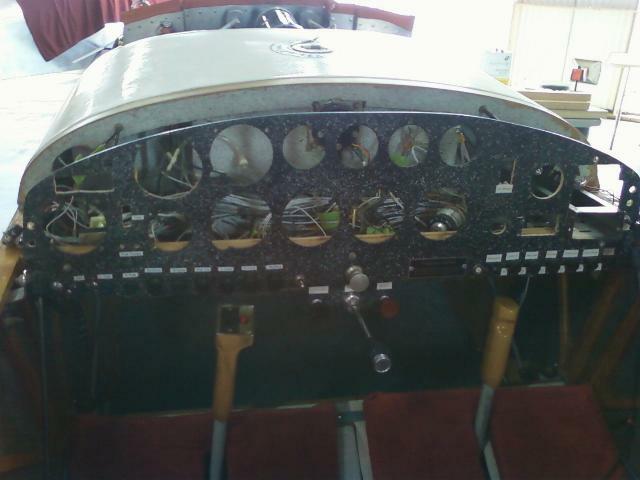 The final version of the instrument panel. 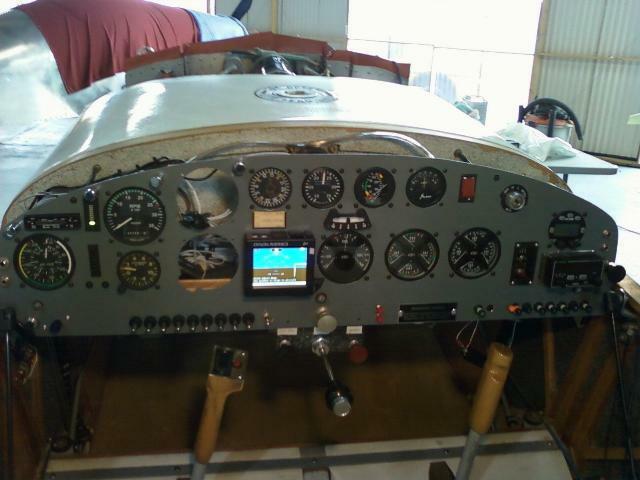 be mounted under the turtle deck and it talks to my iFly 720 GPS via WiFi. 1090 MHZ antennas. 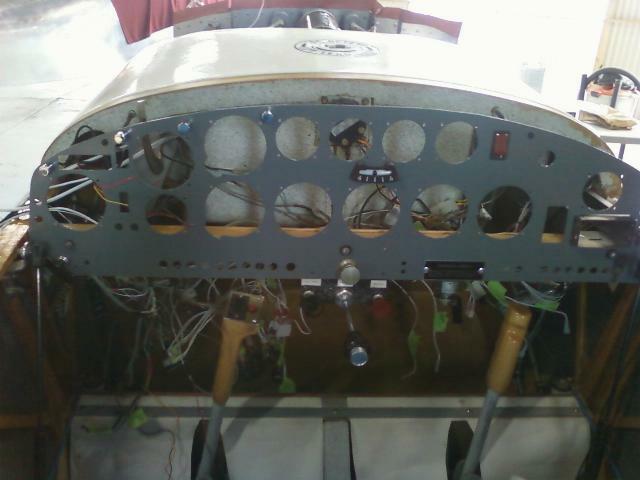 Mount and plug in the ADS-B Out antenna. 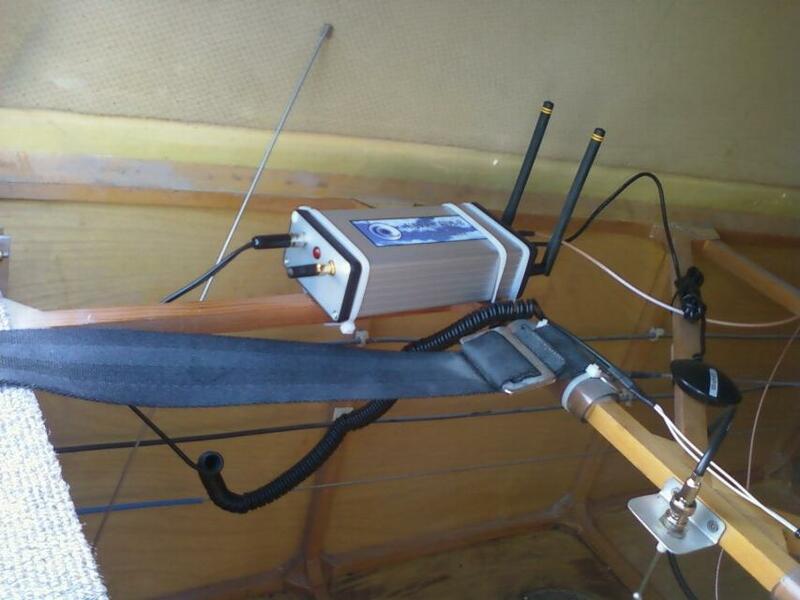 Install the WiFi antenna (tiny nub on the front of the unit). Turn on the power. code (1200), then took it out for a ride. Naturally, there was no traffic in the area, but I noted that the FIS-B (weather) came up immediately. 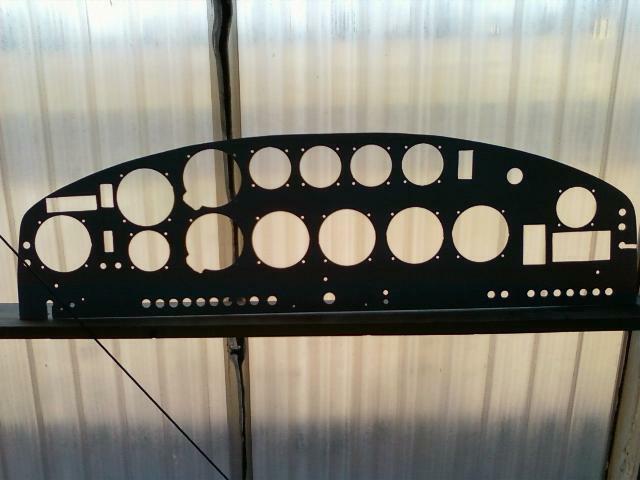 the near side of the wooden airframe, so does not appear in the photo. July 20, 2014 - Took the iFly and SkyGuard Vision Pro for another flight today. Nice Sunday mid morning with lots of traffic out and about. 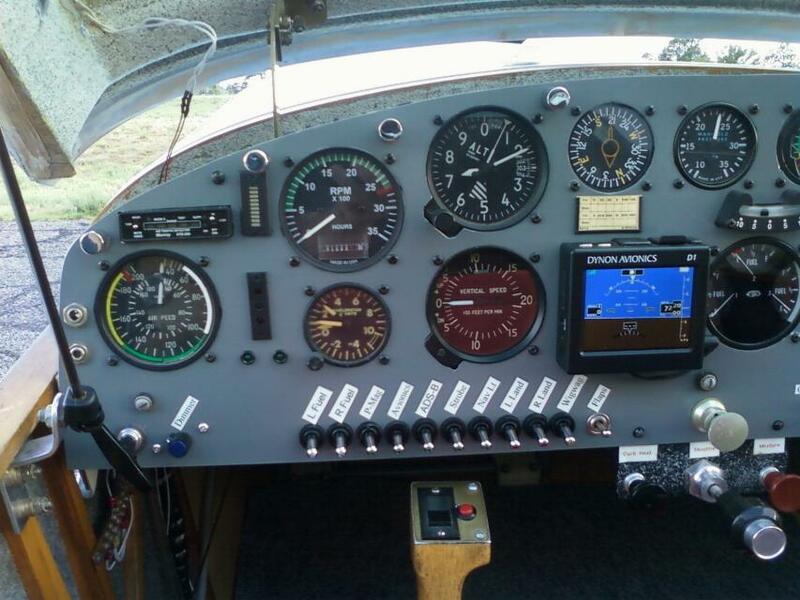 directional arrows and altitude. The traffic is also color coded with aqua blue for traffic, blue for potential conflict traffic, and red as a traffic alert. eyeballs. However, when it started painting a potential conflict, know the altitude and direction of the other aircraft made spotting it a cinch..